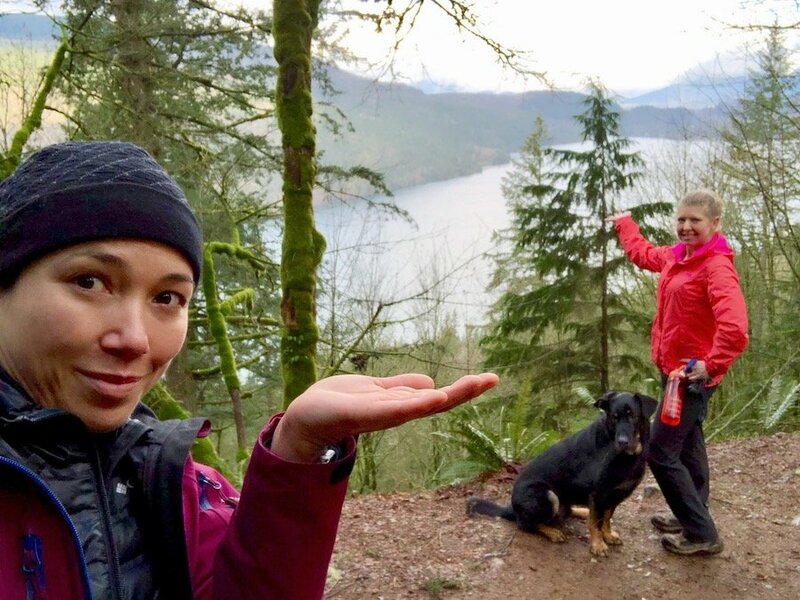 The last time I was driving through the Chilliwack area, I touched base with my hiking buddy Lauren. 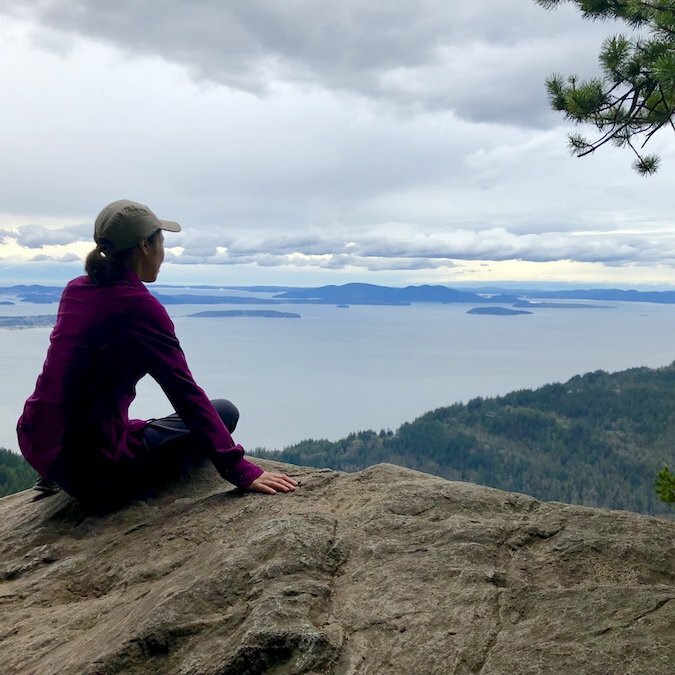 Since I was just passing through on my way to an isolated cabin for my personal retreat, I asked if there was a shorter hike that we could do nearby. 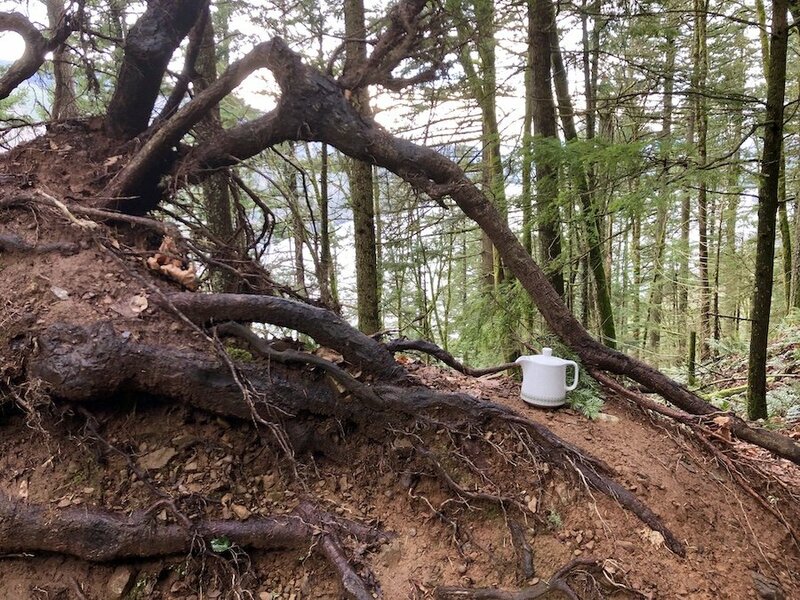 We settled on Teapot Hill. 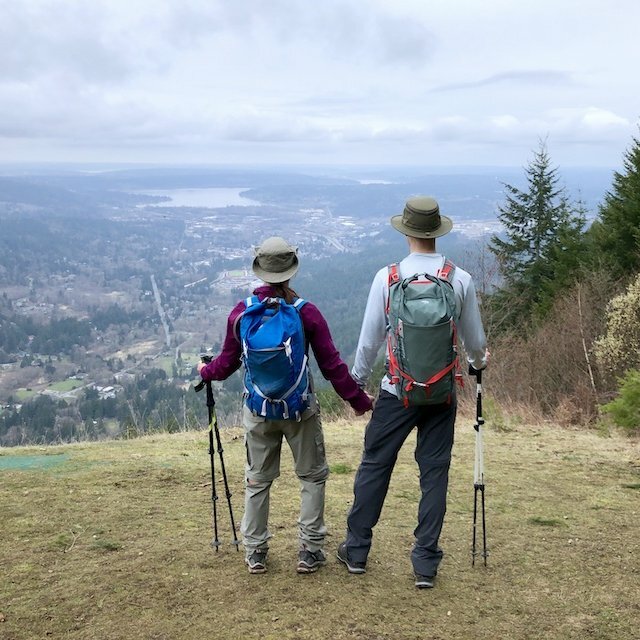 We did this hike in early January and there wasn't a trace of snow or ice anywhere, making it a good choice for a hike if you don't have snowshoes or micro-spikes. 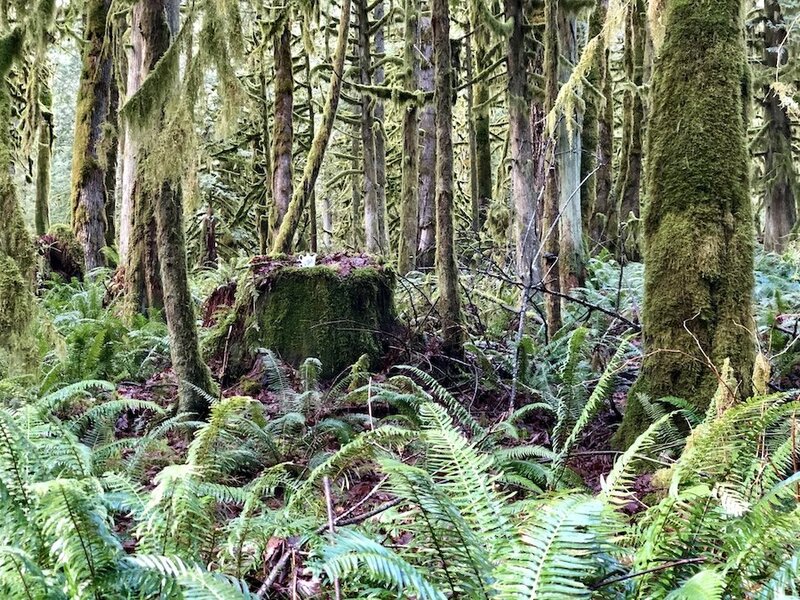 Of course, if the Fraser Valley had had a fresh dump of snow, things might have been different, but because of its low elevation, the Teapot Hill hike doesn't tend to have much in the way of snow and ice even in the middle of winter. 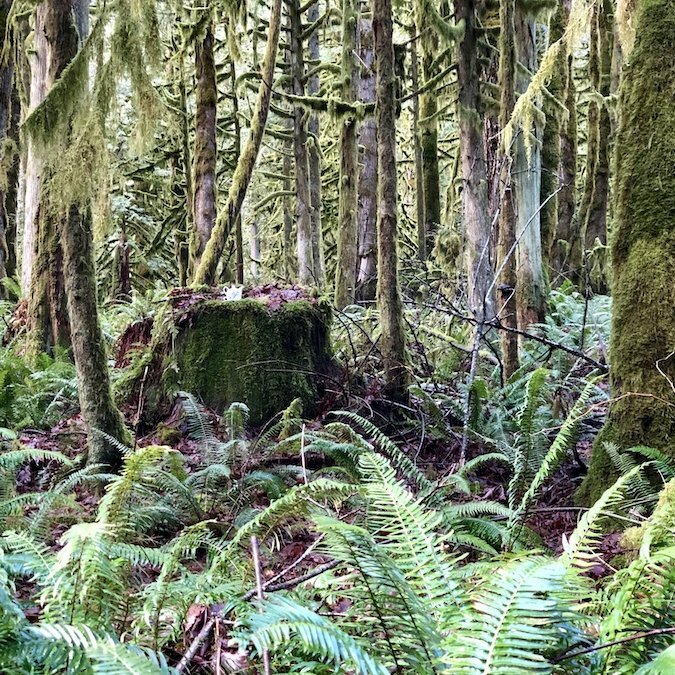 Because of its ease and accessibility from the Cultus Lake campgrounds, this hiking trail gets super crowded with locals and families escaping the city in good weather, and I wouldn't even consider going in the summer a less it was really early in the morning. But in the winter months, it's a more ideal option in my eyes. 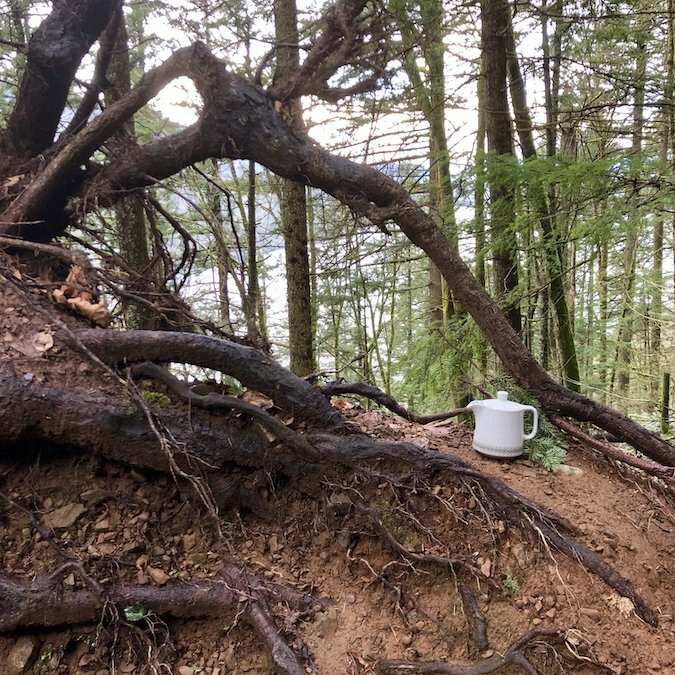 While this hike doesn't have the most breathtaking views I have ever experienced, even when you get high up on the ridge, it does have another charming feature that makes it stand out: teapots and cups. 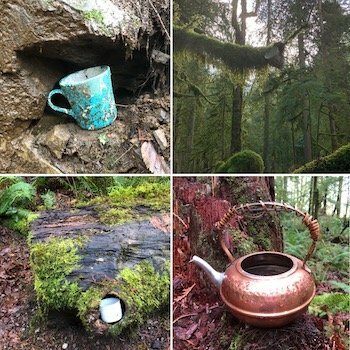 Yes, locals are always bringing up various teapots and cups and hiding them in cute places along the trail. As such, they're always changing. And you'll see different ones going up than you see going down. Some are close to the trail. Some are in the distance from the trail, making them harder to spot. 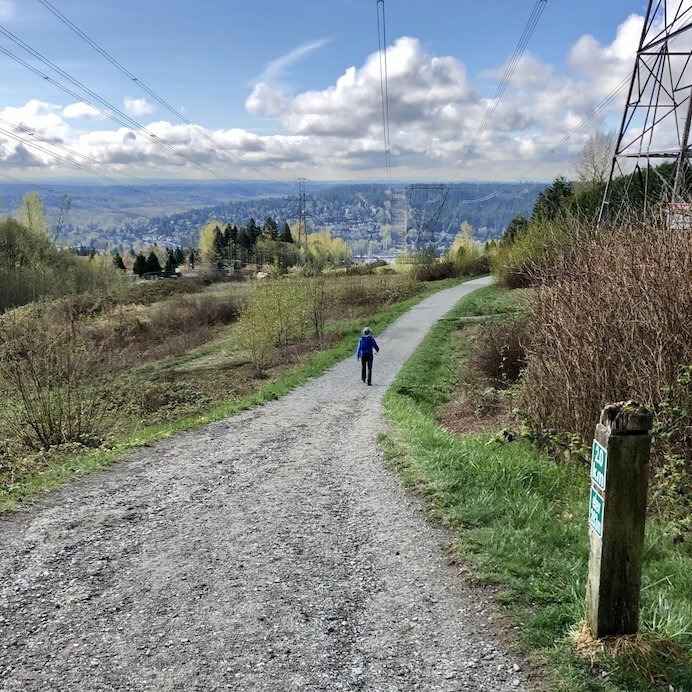 This feature makes it a great choice for kids because it gives them something to focus on of the trail other than the physical exertion. Below are some of the ones I spotted on the trail. As I said before, the view isn't vast or sweeping, but you do get a look at Cultus Lake from a higher vantage point. It's not nothing, worth a photo or two before turning back. At the very least, there is something to look at while you catch your breath (if necessary). 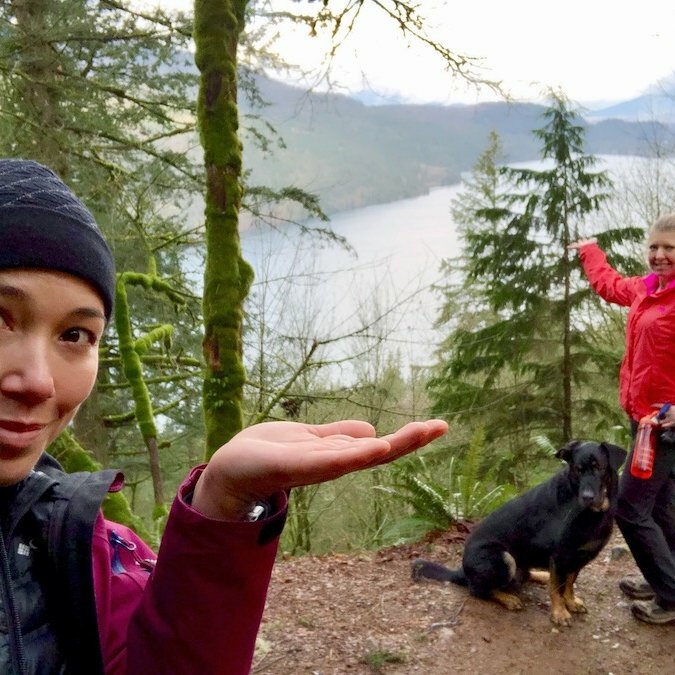 If you're taking a date on this hike and you want to be creative, try bringing up a thermos of tea and some cookies to have at the top so you can have your own mini tea party at the top of Teapot Hill.